It is a pleasure for me to speak at the Public Policy Forum. I am very pleased to be here as this provides a valuable opportunity to exchange ideas. I think much benefit can come from this kind of dialogue with business leaders. The invitation for today’s event shows two topics. On the first and broad topic I have delivered a number of speeches. The most recent was last week to the Conservative China Group in House of Commons. This evening I will focus on Chinese overseas investment. This has been a hot topic these days. In the book, Professor Nolan gives an analysis of Chinese overseas investment from the perspective of an economist. I am glad that his answer to the book title is a very clear ‘NO’. · China has the world’s largest foreign exchange reserve. · China is the second largest economy in the world. · But China cannot afford to buy out the world. · Nor does China have the intention to do so. · China’s outbound investment is in effect only a balance to more than one trillion US dollars of foreign investment in China. Then how should we view Chinese overseas investment? I want to share with you three perspectives. First, the perspective of classical economics theory. When I first came to Britain, a friend of mine suggested that I speak native language when making public speeches. In my understanding, by ‘native language’, he meant not only English, but also real English that native audience are comfortable with. Today, I’ll do more than that. I will speak not only native language, but also native British economic theory. We all know China started reform and opening up in 1978. It happened that one year before in 1977 a British professor John Dunning, the founder of the 'Reading School' of thought in the economics of international business and international investment, published his famous ‘eclectic paradigm’. · Ownership advantages come from trademark, technique and returns from scale. · Internalization advantages refer to the ability in cost control. · Location advantages are benefits in resource endowment and industrial policies. Professor Dunning argued that a company need all the three categories of advantages for the success of its overseas investment. I have spent time reflecting on the theory of Professor Dunning because Chinese overseas investment is very much a comparable case in point. Outward investments by Chinese companies are growing fast. It is because these companies have the advantages described by Professor Dunning. It should be no surprise Chinese businesses are using them efficiently. In 2011, 61 companies from Chinese mainland ranked among the Fortune 500. The strong ability of Chinese companies in cost control has made them highly competitive. This means that Chinese companies can operate effectively in both developing countries or developed ones. The strengths of Chinese companies can match the investment environments and production factors both inside and outside of China. l First, in poorest developing nations with per capita GDP less than 400 US dollars, outbound investment is almost zero. l Second, in countries whose GDP is between 400 and 2,000 US dollars, outbound investment is modest. But inward investment will grow because of an attractive investment environment. l Third, in countries whose per capita GDP is between 2,000 and 4,750 US dollars, both inbound and outbound investments will grow. l Fourth, in countries whose per capita GDP exceeds 4,750 US dollars, outbound investment will grow faster and rise above inbound investment. l In the early days of reform and opening up, China had no money to make foreign investment. l In 2007 China’s per capita GDP topped 2,000 US dollars for the first time. Since then, Chinese overseas investment has started. l Last year, China’s per capita GDP reached around 5,000 US dollars. Chinese overseas investment increased at an impressive speed. 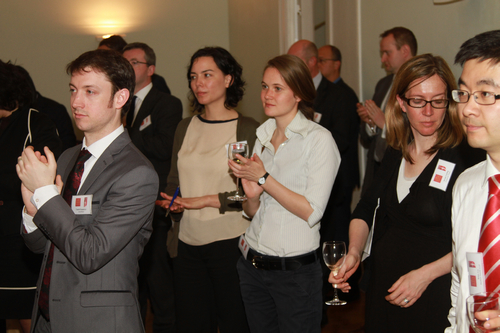 l By the end of 2011, Chinese non-financial investment in the UK had totaled 2.3 billion US dollars. l 1.13 billion US dollars, almost half of it, was made last year. l In the first quarter this year, China’s non-financial foreign investment increased 94.5% year-on-year. l It will continue to grow at a high rate just as the theories of Professor Dunning predict. · Growing overseas investments by Chinese companies follow classical economic theories. · It is a natural course that the Chinese economy will globalise as it continues to grow. The theory of Professor Dunning provides the explanation about outward investment from China. The proof is in the reality of what we can all observe happening around us. I will now turn to the second perspective I want to offer this evening. This is the motives of Chinese companies to make overseas investment. China is now a market economy. Companies run their business independently. They base their investment decisions on market demand and corporate strategies. l They do not go for monopoly. l They do not attach non-economic conditions. l They do not seek non-economic benefits. A great variety of Chinese companies are making such investments. There are both state-owned enterprises and private companies, such as Huawei, Geely and the SANY Group. They are highly competitive and active in international markets. Many of them are listed in Chinese and foreign stock exchanges. They have transparency in financial statements, business strategy and corporate governance. l The Chinese government provides needed services to these companies. l It protects lawful rights and interests of these companies in foreign countries. l It helps these companies fend off risks. Yet, as I said, companies make investment decisions independently. These businesses make their own choices. For examples selecting what country to invest in, which sector and through what means. I will give you a case study. The British media has recently reported that China’s Brightfood planned to acquire Weetabix. I had no idea about this investment until I read the British newspapers. Though this example, I want to stress that overseas investments by Chinese companies are commercial actions. As a commercial rule, Chinese business keep it confidential before any deal is done. The government and the Chinese embassy are not informed either. · They want to be long-term value creators for their host countries. · In the meantime, they want their own growth to be sustainable. l By the end of last year, Chinese investors had set up 180,000 companies through direct investment. l They were in 178 countries around the world. l Non-financial investment had totaled 322 billion US dollars. l These investments had created 780,000 jobs in recipient countries. l They had added 11.7 billion US dollars to local tax revenue. l Chinese companies are committed to fulfill their corporate social responsibilities. l Geely is a private Chinese company. In 2010, in collaboration with other Chinese companies, Geely bought the Swedish carmaker Volvo. l Now, Volvo is making profits again. l Its car sales have increased 12%. l This deal offered jobs for 1200 local people in Sweden. l An independent survey among Volvo employees showed an 84% satisfaction rate with the Geely deal. This was a real win-win. In Sweden, Volvo employees, the government and the general public are happy. The Geely company also gained experience in going global. l Five years ago, China’s Shanghai Automotive Industry Corporation invested in MG Motors. l Last year, the plant in Longbridge, Birmingham resumed operation and unveiled two new cars. It is 16 years since a new MG model rolled off the Longbridge lines. l This was a successful cooperation model: designed in UK, produced in China and assembled in UK. l It revived a famous British brand and created more than 400 British jobs. · Overseas investments by Chinese companies are supported by economic theories. · The motives of Chinese business going global are transparent and positive. · These Chinese investments have brought benefits to both China and recipient countries. · In conclusion, Chinese companies should step up in making outbound investments. The world should welcome Chinese investments with open arms. 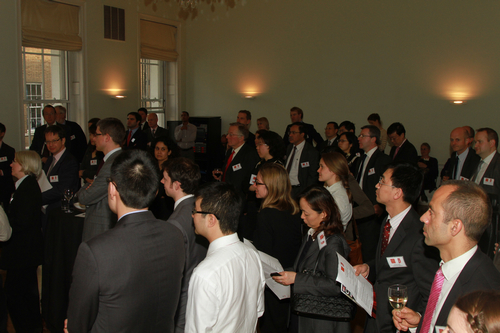 As Chinese Ambassador to the UK, I am glad to see that Chinese investments in Britain have grown rapidly. There are many reasons for it. One of them is the UK welcomes Chinese investments. This is highly attractive for Chinese companies. 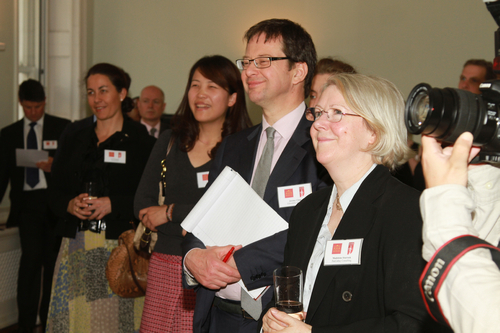 The result is that Chinese businesses have a keen interest in making investment in the UK. Successes have already been achieved in energy, creative industries and infrastructure. l Both China and the UK are adjusting their growth models. l Chinese companies will develop a better understanding of British markets. l London aims to become an off-shore centre for RMB trading. I am confident that Chinese investment in the UK will be a new highlight of China-UK economic cooperation. 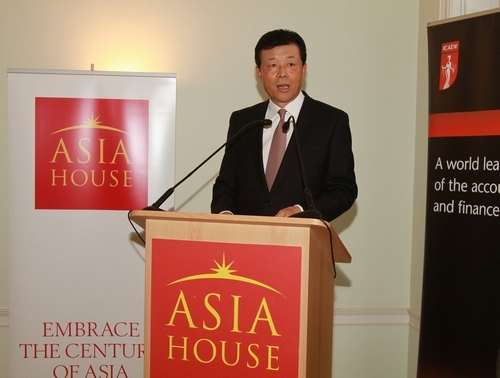 Asia House, created in 1996, is a London-based non-profit, non-political organization with a mission to build deeper awareness of Asia and strengthen policy, cultural, commercial and educational links with Asian societies. 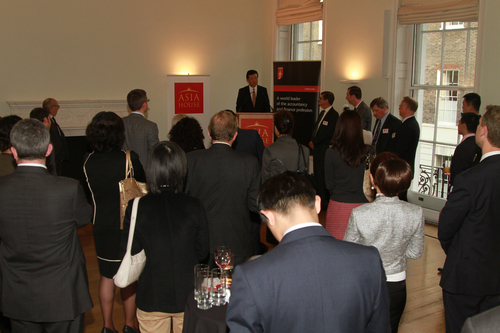 Asia House has developed a rich programme of speeches, exhibitions and exchanges. Ambassador Liu Xiaoming’s speech opens the organization’s Diplomacy Week this year.